Description: Want to write down all the key moments and milestones for your baby during his growth? 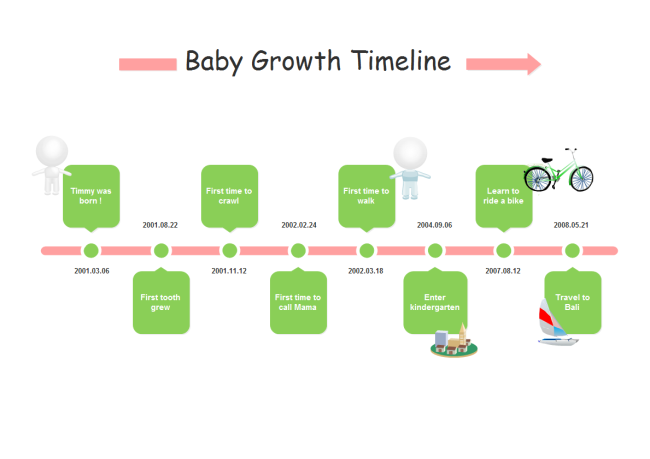 This baby growth timeline will help you out. You can add more events to this timeline, and keep it updated until he is a grown up. Click the download button below to get the editable version.